After So Much Waiting, And Fight Like, For Untime Release Of A Captivating Hit Tracks. 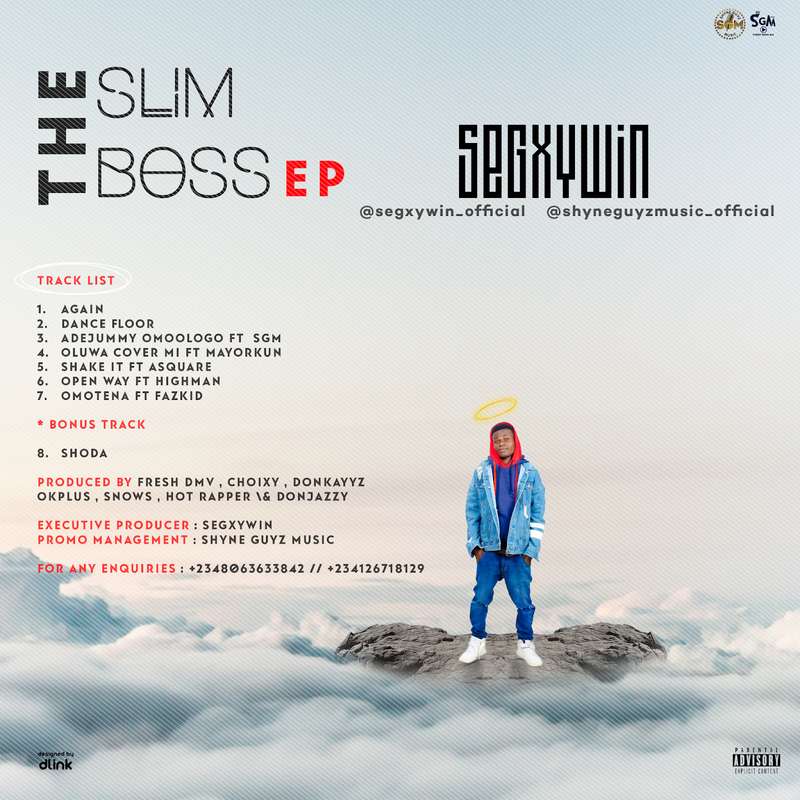 Shyne Guyz Music Hereby Officially Presents The Most Hottest, Energetic, Sensational, RnB, Afro Pop, And Afrobeats Killer, Oyedele Oluwasegun Oluwatobiloba Which Know Professionally As, Segxywin, The Second Official EP Tagged, "The Slimboss EP" Meaning... (The Secrete Let Intelligent Mind Brings Optimistic Sensitivity Subjects EP). 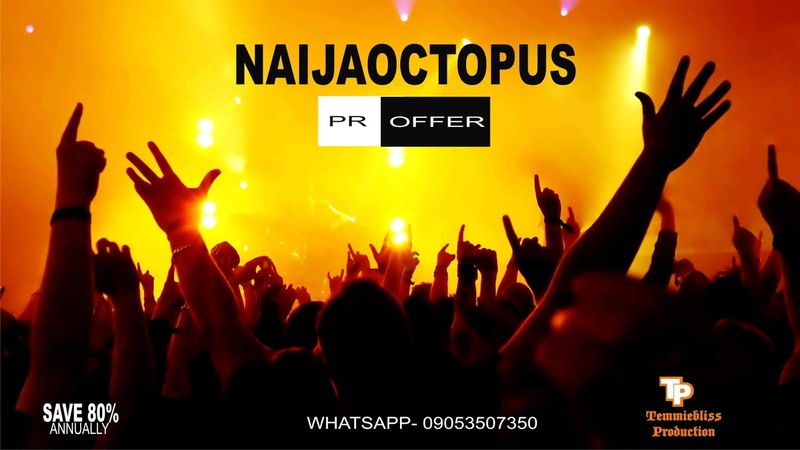 None Of These Tracks Can Let Go Without Bring Back On Play, As Each Of Them Came With Correct Lyrical Messages, Club Groove, Afro Salsa, Sauce And Juice. 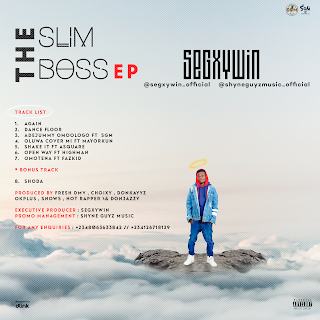 Producers Like Fresh VDM, Endeetone, Snowz, Choixy, HotRapper, OkPlus And Donjazzy Were The Producers Worked With, While Mayorkun, Highman, Asquare, Fazkid, SGM Were The Artistes Featured. Check The EP Cover For More Info.